Secret Superstar belongs to its incredible cast that glosses over many of the film’s minor lapses. Advait Chandan makes an assured directing debut, delivering a film that is ultimately heartbreaking and heartwarming in equal measure. I’m going with three-and-a-half out of five. On the whole, Secret Superstar is a surefire superhit. It may have started slow but its supremely positive word of mouth will take it to great and unimaginable heights. Ladies and families, especially, will adore the film and ensure that it has a long run at the cinemas. The Muslim population, especial- ly the womenfolk, will identify beautifully with the characters and become the biggest publicists of the film. Business Overseas will also be superb. Secret Superstar’s cheerful, feel-good imagery of a rotten reality, captured gorgeously in cinematographer Anil Mehta’s lens and aided by Amit Trivedi’s soaring tunes, reflects a young adult’s hopeful perspective yet to be crushed by the weight of cynicism.And because Zaira Wasim is an absolute wonder, her journey there — even if too good to be true — is one you bid Godspeed. Advait Chandan’s film is a thoroughly rewarding cinematic experience, sweet and thought-provoking in equal measure. It is simple, but not simplistic (barring the ease with which a non-entity like Insia becomes high-profile almost overnight on the worldwide web). 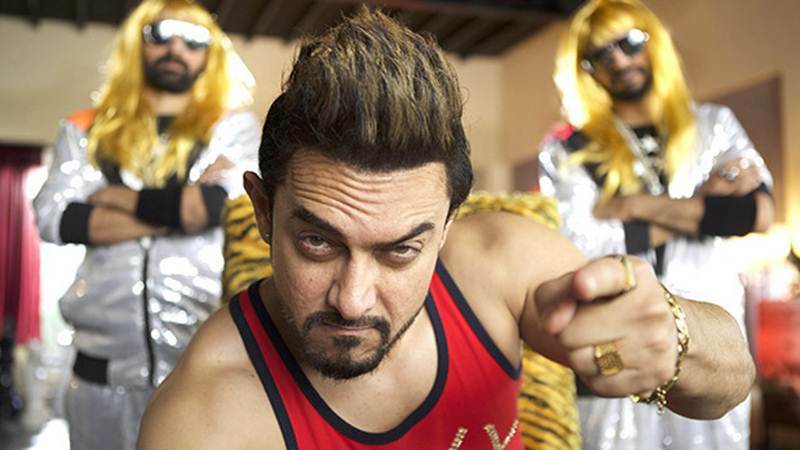 Aamir’s presence has given it pre-release visibility, but what gives it staying power through its running time is the strength of its storytelling and conviction.